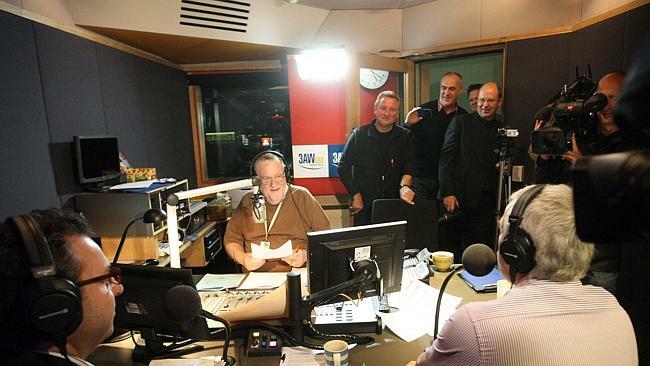 This entry was posted in 3AW 693, Personalities, Radio station and tagged 3AW, Aircheck, Dennis Walter, Ernie Sigley, Game Shows 2014, Melbourne Radio, Rob Brough, Rob Elliot on June 16, 2014 by andrew. Oh who is it you ask! “C’mon cobber” one of his favorite catchcries. This entry was posted in 3AW 693, 70's radio, Andrews Legends on the Mic, Historic radio, Personalities, Radio station and tagged Aircheck, Andrew McLaren, Keith McGowan Tribute, Melbourne Radio, Talkback on December 23, 2013 by andrew. This entry was posted in 3AW 693, Jingles, Radio station on February 14, 2013 by andrew.